Not only is August one of the most popular getaway months for North Americans, it’s practically the official vacation month for Europeans. 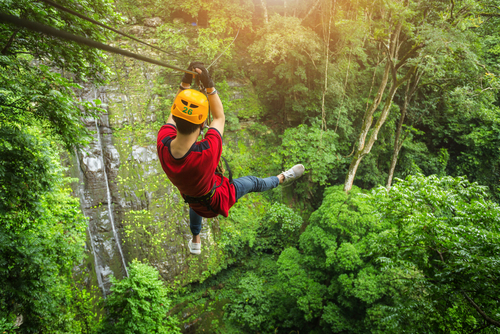 This means many of the world’s most sought-after destinations are swarming with people, while prices for everything from flights, to food, to hotel stays are raised to some of the highest prices of the entire year. But don’t let that get you down! If you’re determined to travel in August, consider heading a little way off the beaten path to one of these 20 best underrated places to travel in August. 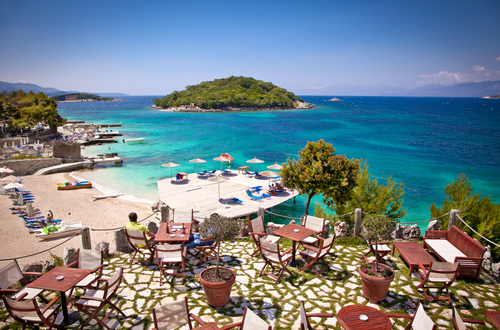 Skip uber-popular Italy and Croatia and head instead to nearby Albania. Boasting a similar cultural, Albania is known for its stunning landscapes, including some of the best beaches in the Mediterranean. The country also enjoys a rich local heritage, up-and-coming food scene, and some of the most intact Roman ruins to be found anywhere in the world. Best of all, you’re sure to meet fewer crowds and spend way less money visiting Albania during August. There is something very appealing and even a little bit wild about this “New Scotland,” Cape Breton, Nova Scotia. Settled by Scottish immigrants, this unique Canadian region has retained a surprising amount of Scottish charm and culture over the centuries. Spend part of your August getaway sunbathing on Cape Breton’s picturesque beaches. 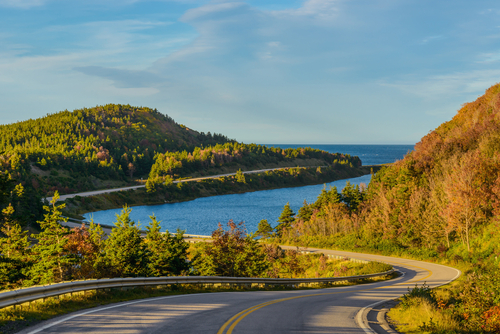 Then head to Cape Breton Highlands National Park, where the famous Skyline hiking trails leads to stunning views, and some moose sightings, if you’re lucky. Cape Breton may be one of the best places in the world to truly enjoy the outdoors, but it offers quite a few cultural experiences as well. For example, don’t leave the town of Sydney without grabbing a selfie with the giant fiddle. Colombia has experienced quite the renaissance in recent years. But until more people realize what a gem it is, it remains an underrated travel destination. In August, Colombia’s high season has passed, but the rainy season has yet to start. 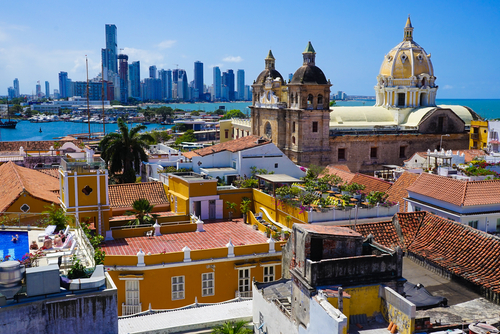 As you plan your trip, allow for plenty of time to explore cities like colorful Cartagena and exciting Bogota. Monserrate, a 17th-century pilgrimage destination makes for a unique couple of days spent high up in the mountains. Finally, Colombia is one of the best countries we can think of for enjoying nature. The country is home to a whopping 59 national parks, with tons of unique activities and wildlife to experience. Don’t confuse this Caribbean island with the Dominican Republic. 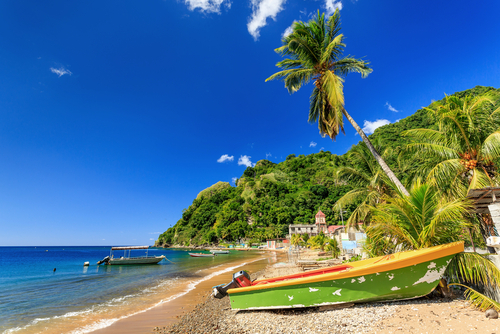 Nicknamed “Nature Island” because of its lush scenery, Dominica has largely been claimed as a national park. This means much of the country’s rainforest and many of its beaches (both black and white sand! ), volcanoes, hot springs, boiling lakes, and waterfalls are protected from development and commercialism. Dominica’s towns and cities are incredibly welcoming to tourists, and offer fun things to see and do for all ages. Come August, avoid the hoards of tourists headed to Iceland, and visit a different Arctic country: Finland! Because it’s geographically similar to Iceland, Finland experiences the same 24 hours of day light during the summer months. The capital city of Helsinki is full of unique sites like the Temppeliaukio Church, carved entirely out of rock. Suomenlinna is a great place to hike amongst Finland’s stunning natural scenery. 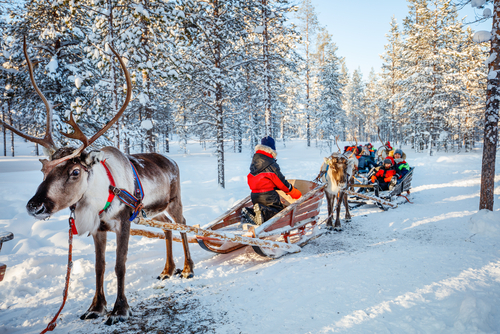 The country’s Lapland region is a year-round winter wonderland to be experienced in the midst of summer. 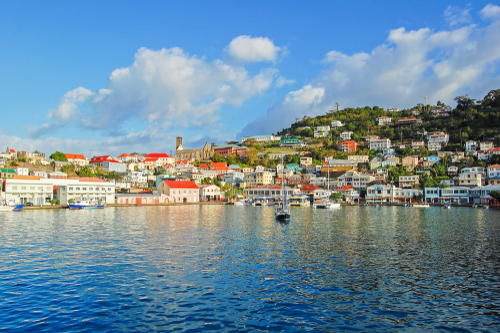 August is a great time to visit the Caribbean, and the country of Grenada is no exception. Indeed, no matter what you’re looking for in a vacation, Grenada’s “Pure Grenada” experience has something to offer. Spend the days sunbathing on one of more than 50 white-sand beaches, or grab your scuba or snorkeling gear for some great underwater adventures. Grenada has some of the best dive sites around — including the Caribbean’s largest shipwreck — as well as the world’s first Underwater Sculpture Park. Okay, so it can get pretty hot in Jordan during the month of August, but we promise you won’t be too bothered by the heat when you’re sitting high atop a camel and traversing the country’s gorgeous landscapes. 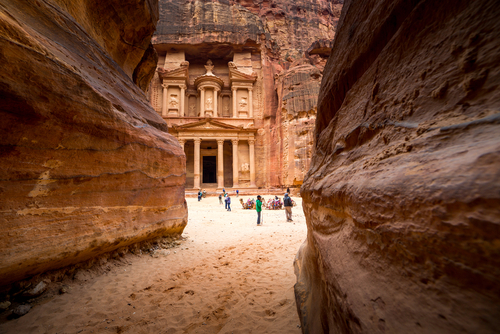 Jordan is an incredibly welcoming country, with a rich heritage and tons to see and do. To get the full experience without much work on your part, consider booking one of many tours that take travelers to the Valley of the Moon, the famous rock carvings of Petra, and Jordan’s other must-see sites. Usually, we would suggest avoiding Europe in August. However, one exception to that rule is Kiev, Ukraine. This incredibly underrated city is absolutely beautiful, and offers visitors unforgettable cultural experiences. Start your time in Kiev with a visit to the Chernobyl Disaster Museum. Surprisingly moving, this emotional museum is interactive, and provides visitors with a unique glimpse at the tragic disaster. 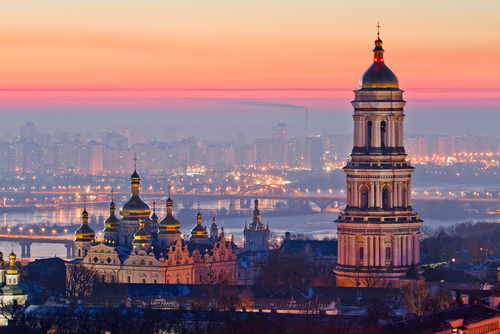 Other must-see Kiev sites include Saint Sophia Cathedral, the labyrinthian monastery that is Kiev Pechersk Lavra, and at least one flea market, where unique Ukrainian treasures can be found at the lowest of prices. While nearby countries like Cambodia, Thailand, and Vietnam have become increasingly popular in recent years, Laos has remained relatively underrated. That’s good news for those looking for an off-the-beaten-path August destination. Laos may be a tiny country, but it has a ton to see and do. Laos’s culture has been highly influenced by both East and West, so don’t be surprised if you come across a Buddhist temple situated next to a building that looks like it’s straight out of Europe. A few must-see sites include the stunning nature of Kuang Si Falls, the hiking trails of Mount Phousi, and the historic Buddhist temple of Wat Xieng Thong. Located well off the coast of southeastern Africa, Madagascar is cooler and dryer in the month of August than it is much of the rest of the year. Most people head to Madagascar in search of the country’s famous lemurs. Book a spot on a guided tour for the most access to the country’s various national parks and the best shot at spotting a lemur or two. 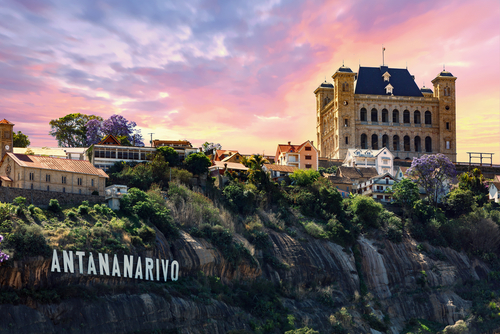 Back in the capital of Antananarivo, expect a vibrant Malagasy culture, welcoming locals, and a delicious food scene. People flock to southern Africa during the Northern Hemisphere’s summer because this usually warm climate is quite pleasant. While the biggest crowds can be seen in countries like Botswana and South Africa, Malawi remains under the tourism radar. To see some of the Big 5, safari through Majete Wildlife Reserve, currently the only place in Malawi to see the most popular safari animals. If you enjoy snorkeling, Lake Malawi is one of the best spots in the world, while the miles of coastline boast luxurious resorts and white-sand beaches. No matter how much time you spend in Michigan, you’re unlikely to run out of things to do. From the charming college town of Ann Arbor to the slew of lakes near the Irish Hills, Michigan has something to offer just about anyone. If you enjoy nature, then check out Michigan’s Upper Peninsula, where Isle Royale — America’s least visited and most underrated national park — offers lots of hiking trails and camping spots. The U.P. 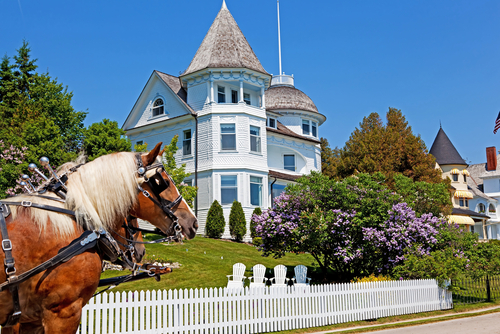 is also near Mackinac Island, the stuck-in-time island where horse-drawn carriages make their way past grand hotels and traditional fudge shops. The city of Montreal in the Canadian province of Quebec combines classical French architecture and culture with the stunning laid-back vibe of other European countries. Best of all, it’s a much shorter plane ride away than Europe itself. 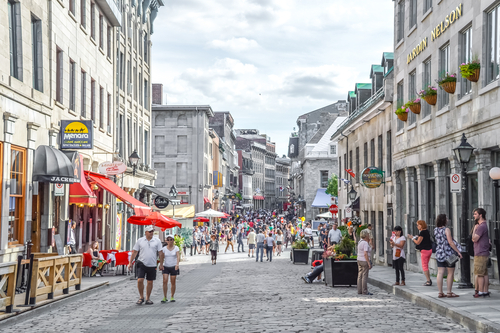 This makes Montreal an especially appealing option if you are accompanied by small travelers. Wander through old town Montreal to see some beautiful buildings. 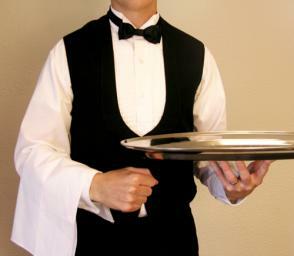 Don’t forget to stop at a sidewalk cafe to enjoy an espresso or other favorite drink. Other must-see sites include the Montreal Biodome, Notre-Dame Basilica, Montreal Botanical Garden, and the lookout atop Mount Royal. 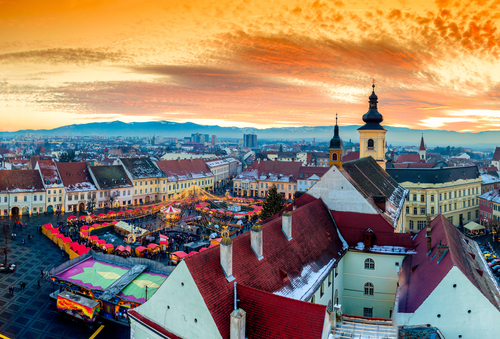 Those determined to experience Europe during the month of August would do well to consider the countries of Eastern Europe, including Romania. Rent a bicycle and cycle through the Romanian countryside, where medieval structures still stand with views of the stunning Carpathian mountains. Lovers of all things mysterious and occult can’t leave without exploring Dracula’s Bran castle. Those just interested in leisurely exploring won’t want to miss a wine tasting tour or a guided walking tour through the capital city of Bucharest. Russia — an underrated country? Yes! With its long and rich history, this massive country is chock-full of things to see and do, and August is a great time of year to experience it. A river cruise down the Volga is a convenient way to see Russia’s best cities, while a trip on the famous Trans-Siberian Railroad means traversing the country in style. 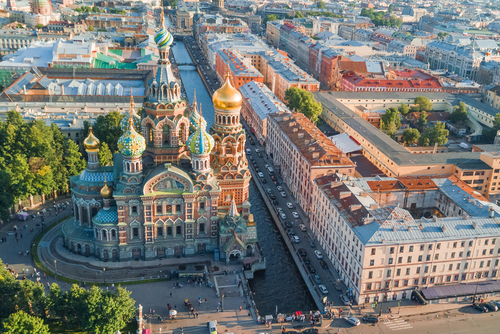 No matter where in Russia you choose to go, you’ll find plenty of fascinating historical sites and tradition to ensure the trip-of-a-lifetime. 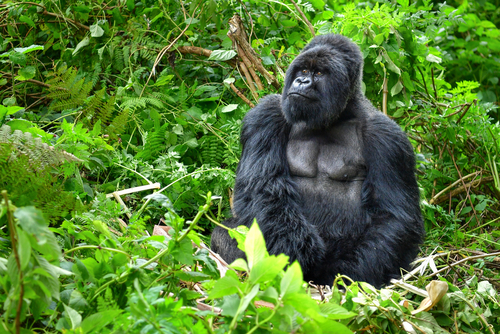 Rwanda boasts one of the fastest growing tourism industries in all of Africa. August is part of the country’s dry season, and an ideal time to visit this lush, jungly country. In the capital city of Kigali, you’ll find a vibrant commercial center with plenty of European flair. Don’t forget to set aside some time to experience the heart-wrenching Kigali Genocide Memorial to learn about the terrible events that plagued Rwanda in 1994. Finally, no trip to Rwanda is complete without some gorilla viewing. Book a spot on a tour led by an experienced guide, then trek into the jungle in search of these beautiful endangered creatures. 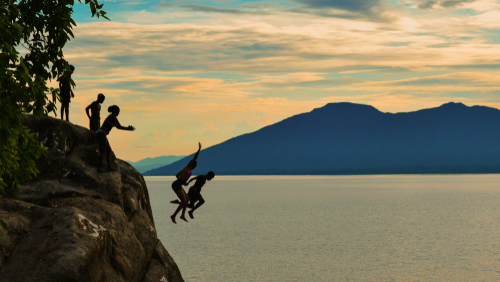 As the world’s third largest island, Borneo is full of things to do. During the month of August, the weather is relatively mild and dry in the state of Sabah, on Borneo’s Malaysian side. If you’re looking for some epic climbing, look no further than Mount Kinabalu’s 4,000-foot summit. 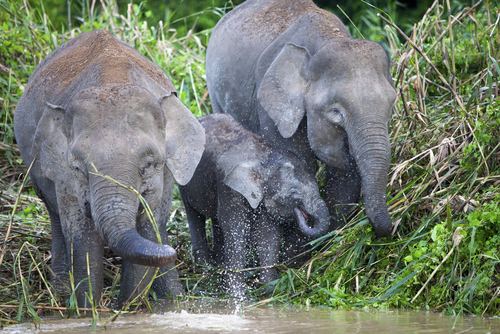 Most people, however, head to Borneo for the unique wildlife population. Book a stay at a lodge located along the Kinabatangan River, where you’ll spend the mornings and evenings on a real-life jungle cruise in search of pygmy elephants, crocodiles, proboscis monkeys, and the elusive orangutan. 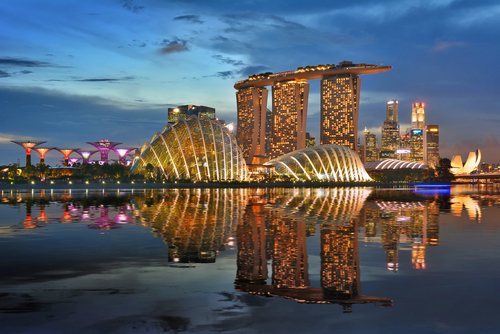 You don’t have to be a Crazy Rich Asian to enjoy time spent in Singapore. Head to this small country during August when the weather is warm and there is a ton going on. Meander through the exceptionally picturesque Gardens by the Bay, and “climb” to the top of Tiger Sky Tower to take in the impressive panoramic views. The Singapore Zoo is a great place to get up close and personal with some of Asia’s best-known animals, while the National Gallery is an impressive collection of Southeast Asian art. Estonia is one of the only countries in Eastern Europe to be included on our list of the best underrated travel destinations for August. Even during this busy travel time, Estonia remains practically free of tourists. 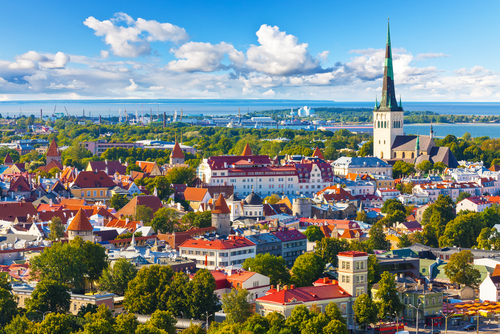 Tallinn, the country’s colorful and historic capital city, is a fascinating place to wander and explore. Like something out of a fairytale, Tallinn consists of cobblestone streets, lots of local restaurants, sidewalk cafes, and pretty art installations. Don’t forget to pop into a local museum or two to take in some of the this underrated country’s fascinating history. Uruguay tends to get lost in the shuffle of South American countries, and we genuinely hope that changes in the near future. 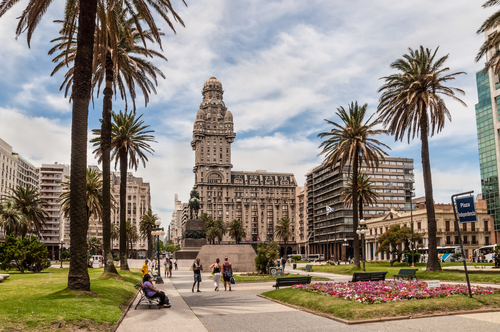 Situated between the much more popular Brazil and Argentina, Uruguay is a laid-back country boasting the vibrant waterfront capital city, Montevideo, a coastline full of world-class beaches, a rich cultural heritage, and a wine country that is quickly climbing the ranks of the wine world.